November is the month with an abundance of things to do with your kids, including several top-notch theater performances and free library events. 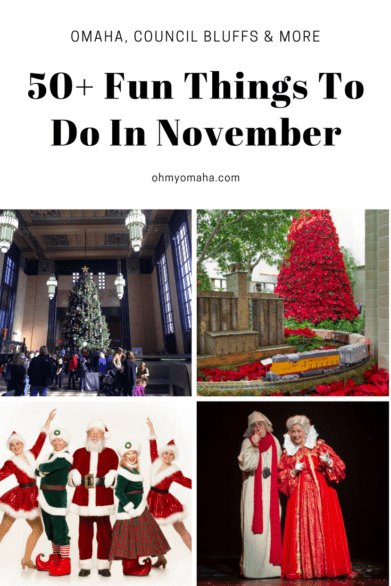 It’s also the kick-off to the holidays around Omaha, so you’ll find a lot of concerts, Christmas displays and more on this list. 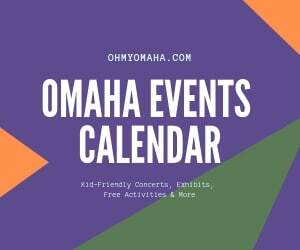 If you have an event that should be added, please email me at ohmyomaha (at) gmail (dot) com. Thanks! When: Nov. 3, 5 to 7 p.m. When: Nov. 3, 5 to 8 p.m. When: Nov. 3, 6 to 9 p.m.
Where: Omaha Public Library Charles B. Washington Branch, 2868 Ames Ave.
Where: The Rose, 2001 Farnam St. Cost: $20; discount vouchers at HyVee food stores’ customer service desks. 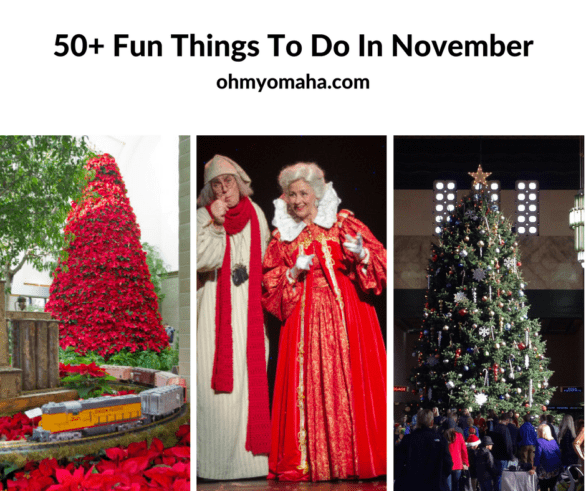 Three shows on this list are included in the 10 Must-See Shows This Fall in Omaha List! Read about them here. When: Nov. 4, 9 to 11 a.m. When: Nov. 4, 1 to 3 p.m.
Where: Omaha Public Library W. Dale Clark (Main) branch, 215 S. 15th St. When: Nov. 4, 2 to 3:15 p.m.
Where: Omaha Public Library Milton R. Abrahams branch, 5111 N. 90th St. When: Nov. 4, 2 to 4 p.m.
Where: Omaha Public Library South Omaha branch, 2808 Q St. When: Nov. 5, 9 a.m. to 3 p.m.
Where: Fontenelle Forest, 1111 Bellevue Blvd. N, Bellevue, Neb. When: Nov. 5, 7 p.m. 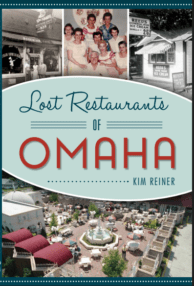 When: Nov. 7, 5 to 6:30 p.m.
Where: Omaha Public Library Florence branch, 2920 Bondesson St. When: Nov. 7-12; performances are Tuesday through Thursday at 7:30 p.m., Friday at 8 p.m., Saturday at 2 and 8 p.m., and Sunday at 1 and 7 p.m.
Where: Orpheum Theater, 409 S. 16th St. When: Nov. 10, 6:30 to 9 p.m. When: Nov. 10, 7 p.m.
Where: Joslyn Art Museum, Witherspoon Hall, 2200 Dodge St. When: Nov. 11, 10 to 11 a.m.
Where: Strategic Air Command & Aerospace Museum, 28210 West Park Highway, Ashland, Neb. When: Nov. 11, 11 a.m. to 2 p.m. When: Nov. 11, noon to 3 p.m. When: Nov. 11, 1:30 to 3:30 p.m. When: Nov. 11, 2 to 4 p.m.
Where: Hollywood Candy, 1209 Jackson St. When: Nov. 12, 1:30 to 2:30 p.m. When: Nov. 15, 3 to 5 p.m. When: Nov. 16, 1 to 3 p.m.
Where: Omaha Public Library Elkhorn branch, 2100 Reading Plaza, Elkhorn, Neb. When: Nov. 16, 6 to 8 p.m. When: Nov. 16, 7:30 p.m.
Where: The Capitol District, 222 N. 12th St. When: Nov. 17, 4:30 to 5:30 p.m. When: Nov. 17 through Dec. 23; performances are Fridays and Saturdays at 7:30 p.m.; Sundays at 2 and 6:30 p.m.; Wednesday, Nov. 29 and Dec. 6, at 7 p.m.; and Thursdays, Nov. 30 and Dec. 7, at 7 p.m. When: Nov. 18, 10 to 11 a.m.
Where: Westroads Mall Von Maur Court, 10000 California St. When: Nov. 18, 1 and 4 p.m. When: Nov. 18, 4 to 5:30 p.m. When: Nov. 20, 6 p.m. Cost: $8, includes skate rental (admission is still required for patrons who bring their own skates) and benefits the Food Bank for the Heartland. When: Nov. 21, 4 to 5 p.m.
Where: Omaha Public Library Benson branch, 6015 Binney St. When: Nov. 21, 6:30 to 7:30 p.m.
Where: LaVista Public Library, 9110 Giles Road, LaVista, Neb. Where: A teen/tween meetup to watch the movie and enjoy snacks. When: Nov. 22, 10 a.m. to 1 p.m. Cost: Included with regular admission, which is $11 for adults; $8 for seniors; $7 for children 3-12; and free for members and children age 2 and under. Cost: Included with admission, which is $10 adults, $5 children 6-12). Members are admitted FREE. When: Saturdays, Nov. 25 through Dec. 23, 7 to 8 p.m. When: Nov. 25 and 26; Dec. 2, 3, 9, 10, 15-23, 26-30; and Jan. 2-3, 5 to 8 p.m. When: Nov. 25 and 26; performances are Saturday at 7:30 p.m. and Sunday at 2 p.m. When: Nov. 25, 7:30 p.m. When: Nov. 27, 6:30 p.m. When: Nov. 30, noon to 1 p.m. When: Through Nov. 12, performances are on Saturdays and Sundays at 9:30 and 11 a.m.; and Mondays at 10 a.m.
Where: The Rose, Hitchcock Stage, 2001 Farnam St.
Where: Durham Museum, 801 S. 10th St. Cost: Included with museum admission, which is $11 for adults; $8 for seniors; $7 for children 3-12; and free for members and children age 2 and under. Read more about the exhibit here! Cost: FREE for members; non-members participate by paying a $4 activity fee for your toddler (age 9 months to 4 years) and the attending parent is FREE. When: Wednesdays, 11 to 11:30 a.m.
Where: Omaha Public Library Saddlebrook Branch, 14850 Laurel Ave. When: Fridays, 4 to 7:30 p.m.
Where: The Salvation Army Kroc Center, 2825 Y St. When: Saturdays, 2 to 4 p.m. When: Saturdays, 2:30 to 3:30 p.m.
Where: Omaha South Public Library, 2808 Q St. When: Sundays, 1 to 5 p.m.